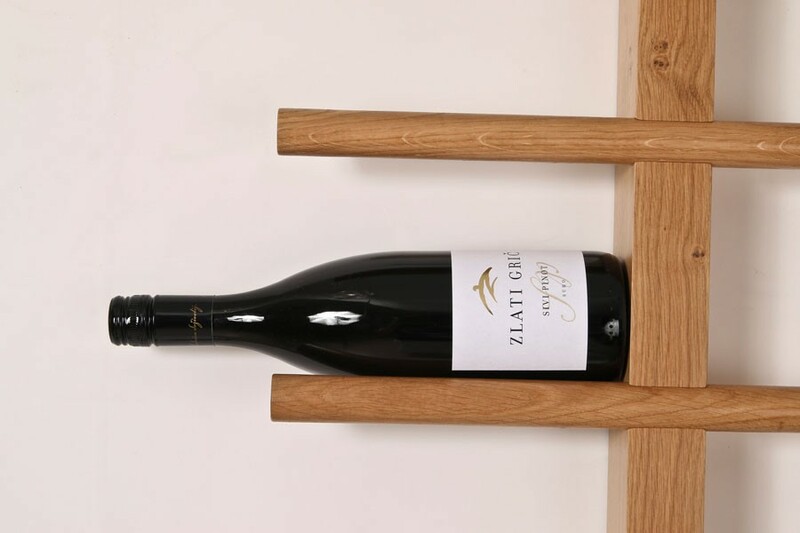 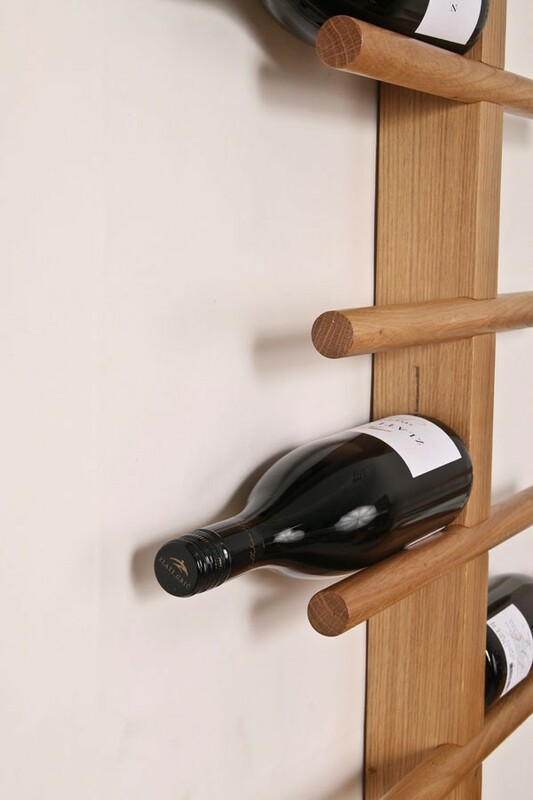 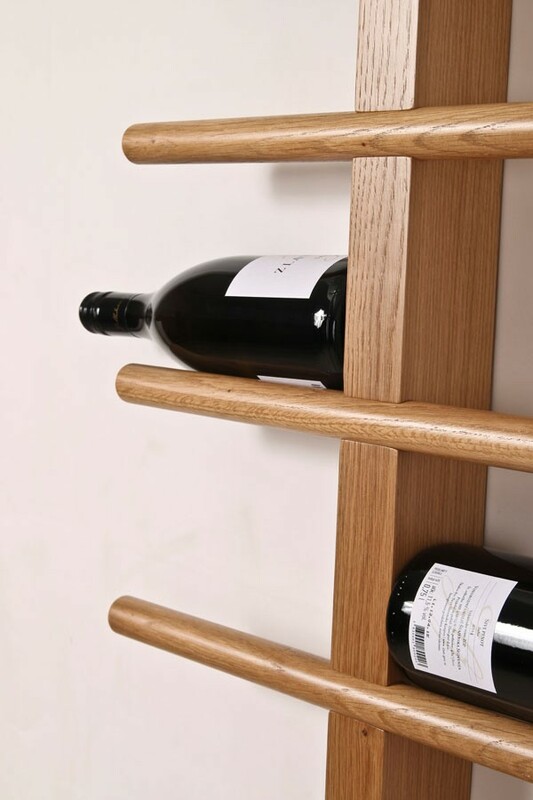 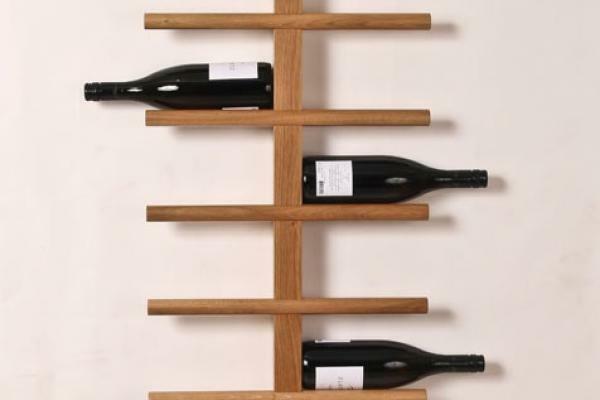 This wall mounted wine storage is handcrafted from raw oak. 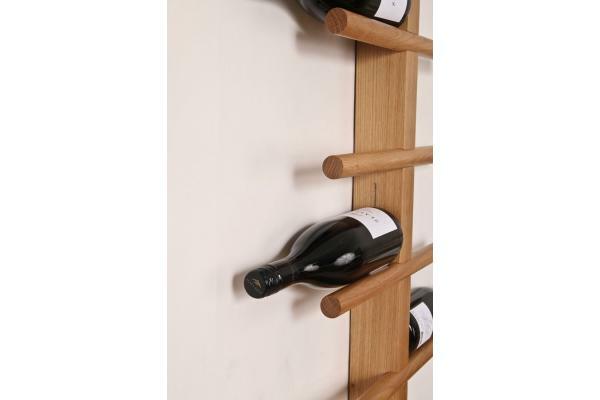 It can be used on all concrete and brick walls. 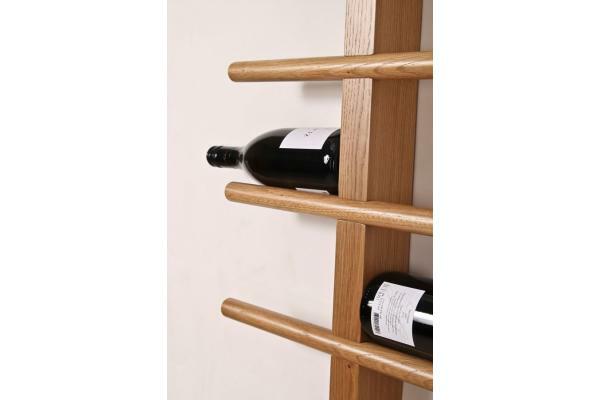 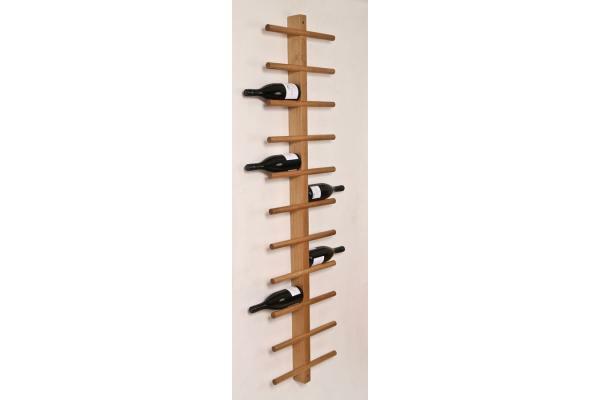 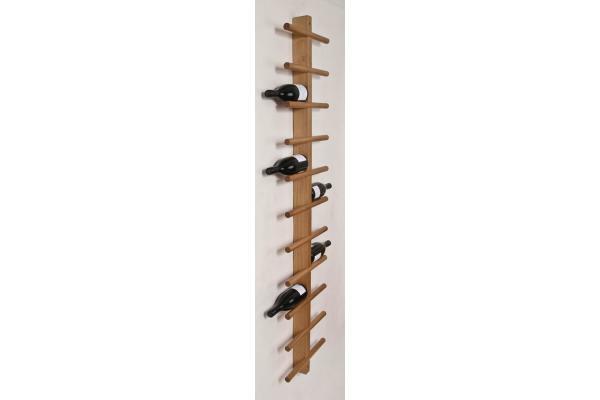 Can hold up to 22 standard wine bottles and it comes fully assembled.